173 NHL Players Selected To Compete in Best-on-Best International Tournament; Two Blue-Chip Prospects for 2016 NHL Draft Also Named. 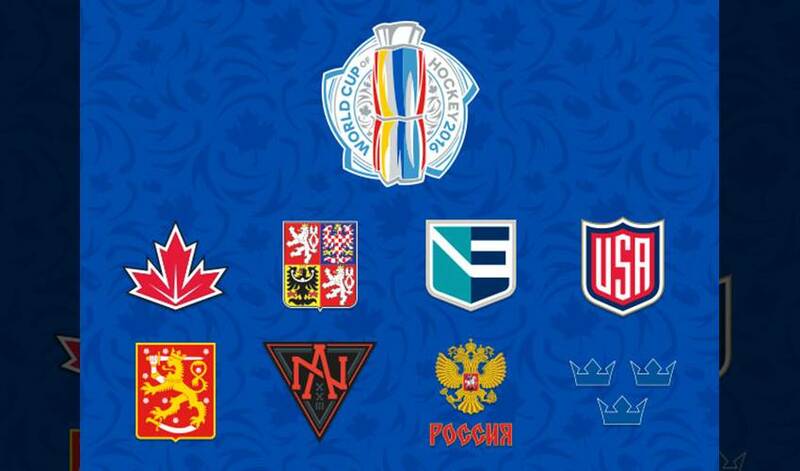 TORONTO (May 27, 2016) – All eight teams announced today their final, 23-man rosters for the World Cup of Hockey 2016, the best-on-best international hockey championship that will be held Sept. 17 – Oct. 1 at Air Canada Centre in Toronto. Each of the eight teams – Team Canada, Team Czech Republic, Team Europe, Team Finland, Team North America, Team Russia, Team Sweden and Team USA – added seven players today, joining the 16 selected to the respective teams on March 2. A total of 173 of the 184 selections are NHL players, plus two others -- Team North America forward Auston Matthews and Team Finland forward Patrik Laine -- who are projected to be early first-round selections in the 2016 NHL Draft. The Tampa Bay Lightning and Chicago Blackhawks lead all NHL teams with 12 selections apiece. The Boston Bruins, Detroit Red Wings, Philadelphia Flyers and Washington Capitals follow with eight each. The World Cup of Hockey 2016 is a joint effort of the National Hockey League and National Hockey League Players’ Association, in cooperation with the International Ice Hockey Federation. Live coverage of all tournament games will be provided by Sportsnet and TVA Sports in Canada and ESPN in the United States. A complete broadcast schedule will be announced at a later date. Official fan travel and hospitality packages for the tournament are available from PrimeSport, the Official Fan Travel and Hospitality Package Partner of the World Cup of Hockey 2016. Visit www.primesport.com/wch for more information. For more information on the World Cup of Hockey 2016, visit www.wch2016.com.